With E4D technology, we can make a crown, onlay or veneer that is precision fit and colour for you in one appointment. 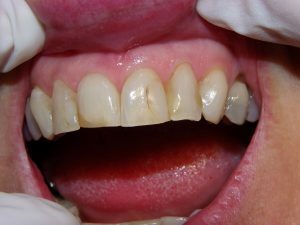 With our in-house E4D system, we can create an exact 3D model of your mouth, design the restoration to fit perfectly, manufacture the restoration and insert it in one visit. After taking a 3D scan of your mouth, we can design each crown to work perfectly with your surrounding teeth. 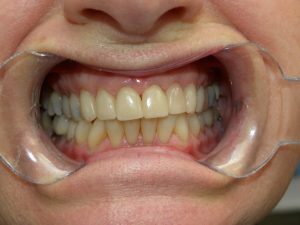 At the same time the system accounts for and morphs the crown to fit your “bite”, producing a restoration that is simply “yours”. Research has proven that the fit of the restorations that our system produces is superior than any other crowns available. The crowns are created by milling them from a single block of porcelain, which means that the strength of these crowns is second to none. 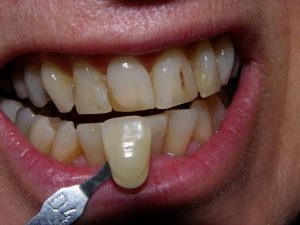 Each restoration is custom-shaded to match your adjacent teeth in as lifelike a manner as possible. Many of our patients who are anxious to have dentistry done—crown prepared, designed, milled, and inserted—can rest assured that this type of procedure can usually be done in one sitting, all while you sleep! With over 500 crowns done to date, we’re experts at giving you a smile that will feel good and that you’ll feel good about. E4D Technologies is a high-tech medical device company focused on 3D imaging, successful entrepreneurship, and commercialization of new technologies. The company has taken the dental profession to a higher level of productivity, patient comfort and convenience with its E4D CAD/CAM restorative systems and software solutions for dental offices, laboratories and teaching institutions. E4D customers and patients will benefit from the combination of unique and innovative products and services offered by its new partnership with Planmeca. 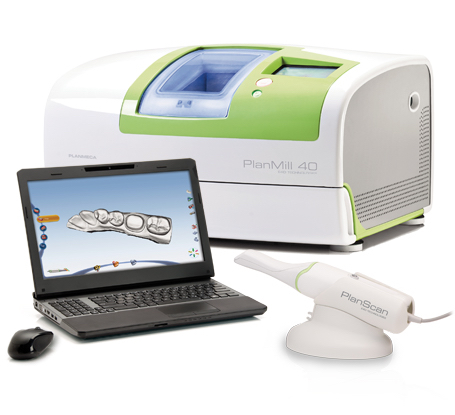 Planmeca is a global leader in many fields of dental technology, with a product range covering digital dental units, world-class 2D and 3D imaging devices and comprehensive software solutions. Our mutual vision is to create best-in-class digital solutions for the dental profession. E4D Technologies will continue to offer world-class innovations, leading-edge education and technical support for customers with Planmeca University and our real-time Support-on-Sight (SOS) Service. With the Planmeca FIT, driven by E4DTechnologies, you can produce lab-quality restorations in hours instead of days – with remarkable speed and accuracy, intuitive design software, on-site milling and, of course, no impressions or powders. The result is a vastly improved restorative process that gives you – and your patients– a positive dental experience to brag about. Plan Meca Fit driven by E4D technologies provides lab-quality restorations with remarkable speed and accuracy. The design software is intuitive and can produce crowns/veneers with remarkable speed and accuracy. Dr. Dove has been using this technology for over 5 years and we have fabricated over 900 restorations. The process is a very positive dental experience. 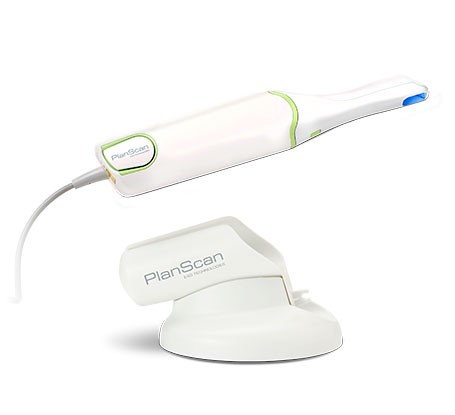 PlanScan is the only intraoral scanner in the world with blue Ray technology. It has the ability to capture fine detail. The video-rated scanning technology connects to the laptop, which is very fast and efficient. The Planmeca Scan and Design Center is very portable with lap top convenience. Each crown/veneer is custom made. The milling of the restorations are done on site and with calculate custom milling paths and micron-precise accuracy. Dr. Dove has incorporated this advanced technology in his office to provide the best outcome for his patients. The experience is one of a kind.